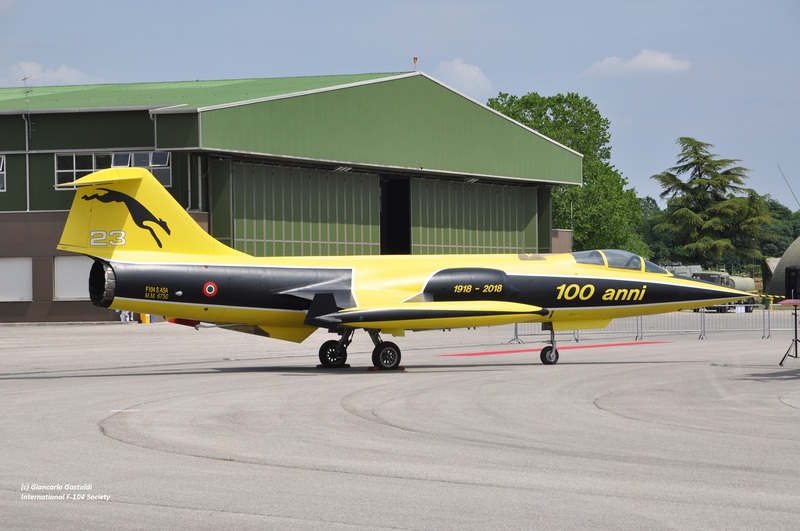 Last Friday, May 11th, there was a 100th anniversary celebration event for AMI 20°, 21°, 22° and 23° Gruppo at Istrana Air Base. The event was initiated by Mainini and the Istrana preserved MM6750 "3-32" was selected to repaint in 22° and 23° Gruppo colors, representing the two squadrons which have been disbanded a while back. 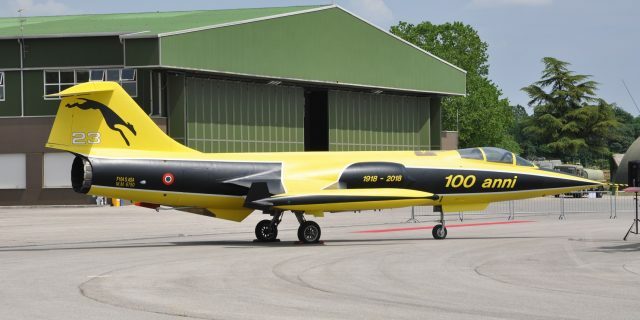 The aircraft, once build up using the nose section from MM6824, was painted with the famous yellow black 23° Gruppo special colors on starboard side whule on the other side a grey red 22° Gruppo colorscheme was applied. The combination looks fabulous. 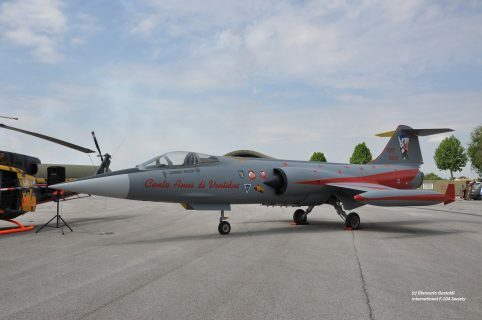 Most likely the aircraft will stay preserved at Istrana inside a shelter or hangar. (The nice photos were received, thanks to Giancarlo Gastaldi).